A two lot land assembly has been granted conditional approval for a seven lot single family subdivision from the District of Saanich in the North Quadra neighbourhood. 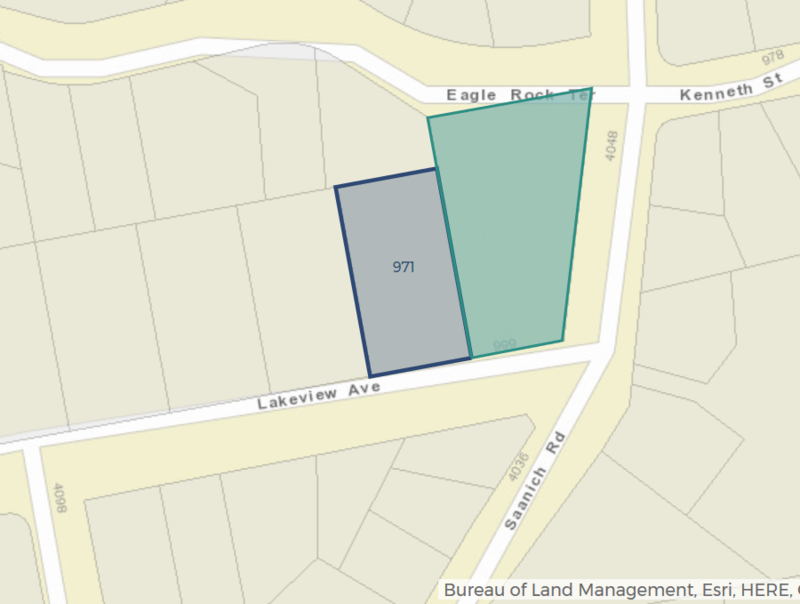 The two lot site was acquired by Gurdeep Binning of Saanich in 2016. New single family infill development is rare in Saanich, and this will be a welcomed addition to an already established neighbourhood. 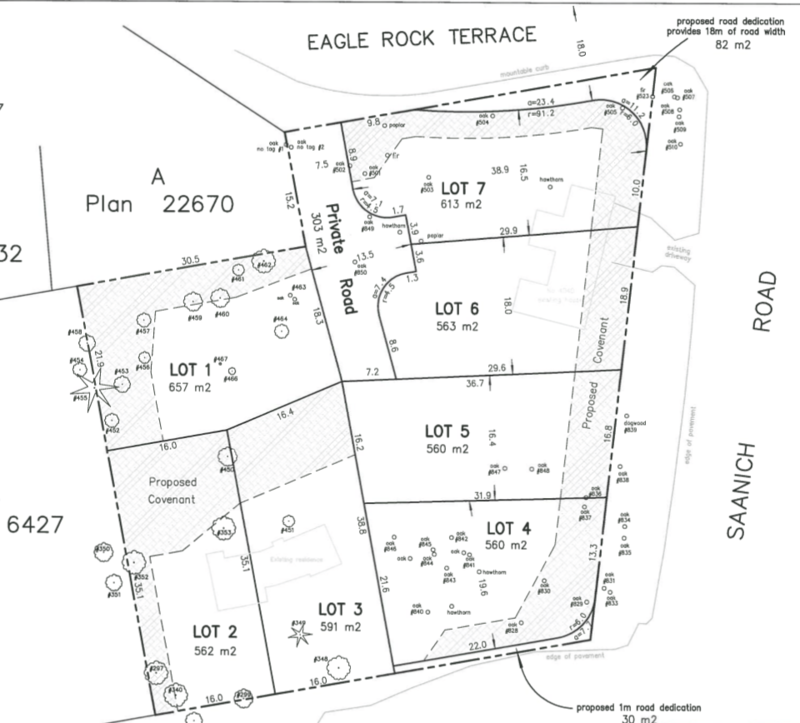 This land assembly achieved a 7 lot subdivision with the District of Saanich. The existing zoning is generous enough to allow the subdivision of 3 fee-simple lots and 4 bare-land strata lots. The site has many environmental sensitivities. Additional density will require road widening, rock blasting, and servicing upgrades. As a result, 29% of the site will be an environmental covenant. A total of 67 trees are included in the tree plan. 13 trees will be removed during the site servicing phase, and 17 during the building permit phase. Many will be replaced after full build out. The site was marketed and sold by Dustin Miller.